Hafler - Perfecting high fidelity audio for over 60 years. Dear Hafler / Dynaco enthusiasts! The following page lists manuals and schematics for various Hafler and Dynaco products. If you are looking for something specific, please check the list below. This list comprises everything we have available at this time. If you do not find what you are looking for, please note that Radial purchased the Hafler brand and was not involved in any of the manufacturing. Thus, we do not have source information. We are however working hard at increasing the data on the web site and are encouraging folks to provide data that we can share. So if you have schematics, manuals or anything else that you believe would be of value to fellow Hafler and Dynaco enthusiasts, please send them our way. The following documentation is provided as reference only. 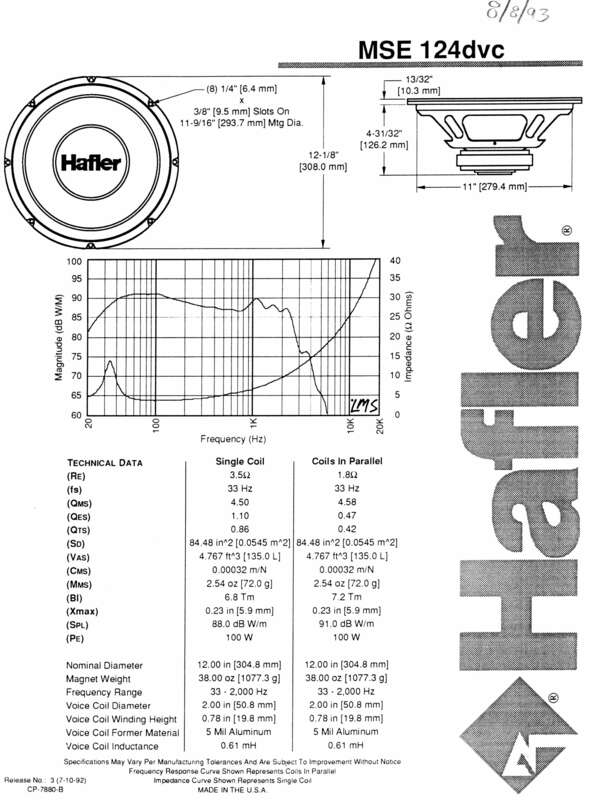 Hafler (division of Radial engineering Ltd.) has no way to assure that the information provided is accurate or represents the latest revision of a given product. Any use of the schematics presented herein is your sole responsibility and is done so under the understanding that you are taking the full and entire risk for their accuracy and that you shall hold Radial (Hafler) harmless under any and all conditions. Hafler (Radial Engineering Ltd.) does not currently offer any form of repair service for products built before 2015 as we do not have access to parts. We kindly ask that you get in touch with your local repair center to see if they can assist by downloading one of the many documents made available on this site. *Schematic may also be found in the Manual if available. Hafler is a division of Radial Engineering Ltd. Features and specifications subject to change without notice © 2019 Radial Engineering Ltd.